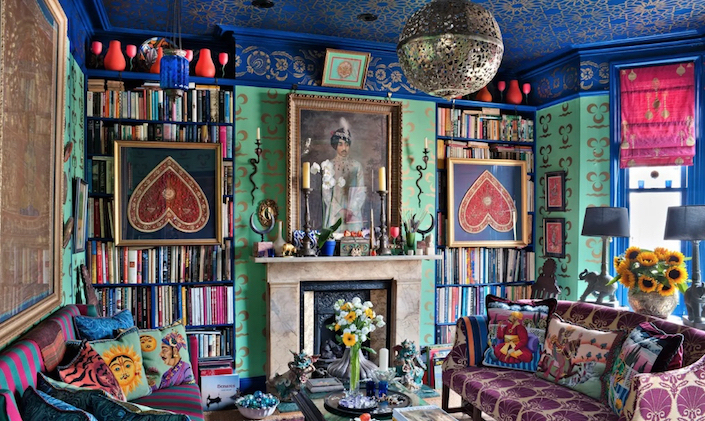 And while London isn’t much of an improvement weather-wise, Wilson’s amazing flat is an eloquent evocation of someplace that is. 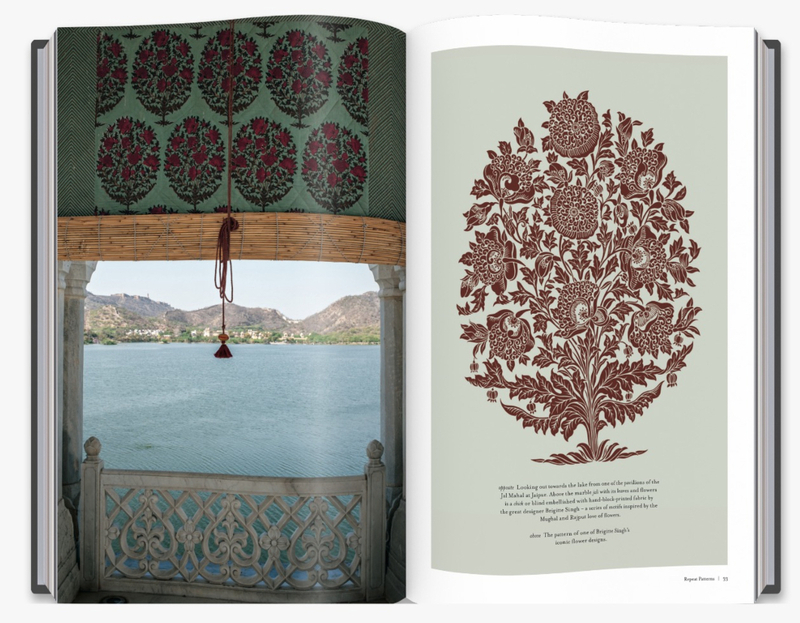 I would imagine quite a few of you may be familiar with the talented Wilson, whose love for India was well documented in both magazines and seven books. 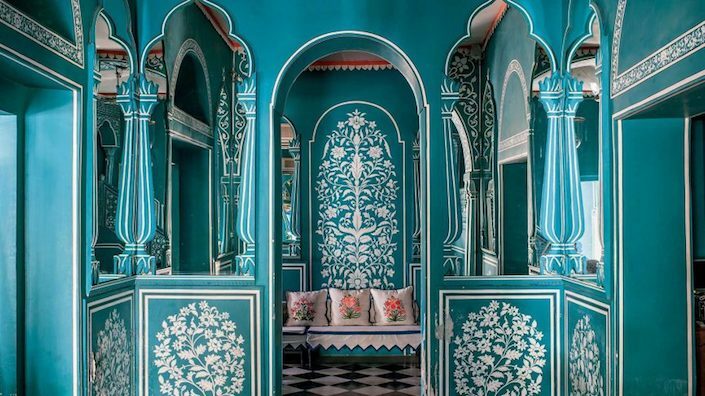 In one of his later tomes, Floral Patterns of India, he expressed, through his sumptuous photography, how floral motifs are incorporated with both whimsy and extravagance in Indian architecture and design. 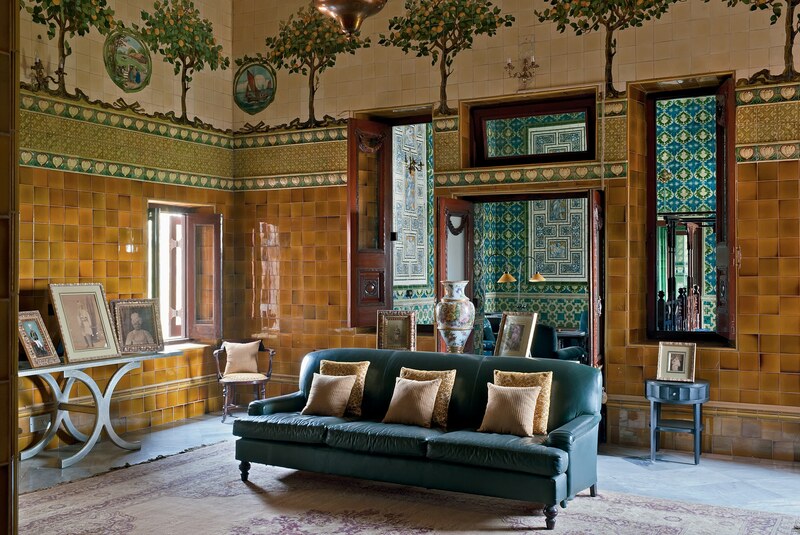 Below, tiled lemon trees line the walls of the reception room at Raj Niwas Palace at Dholpur, now a hotel in Rajasthan. 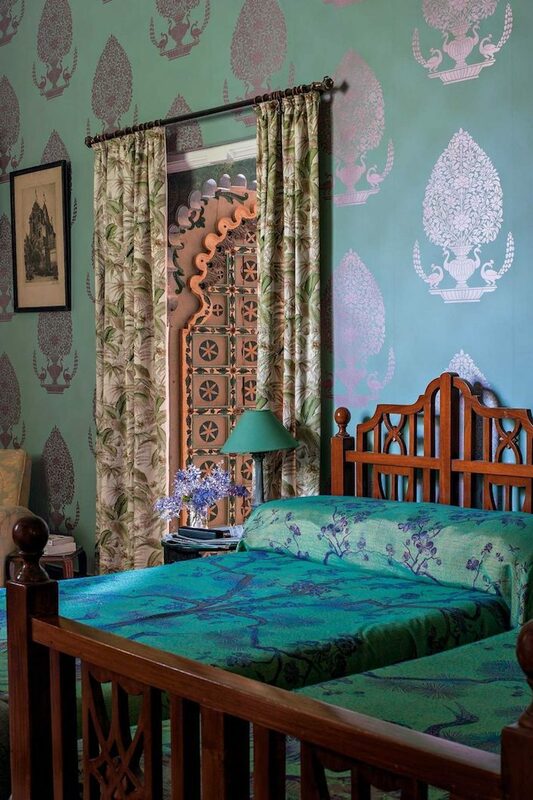 and bedrooms at the Udai Bilas Palace at Dungarpur in Rajasthan. 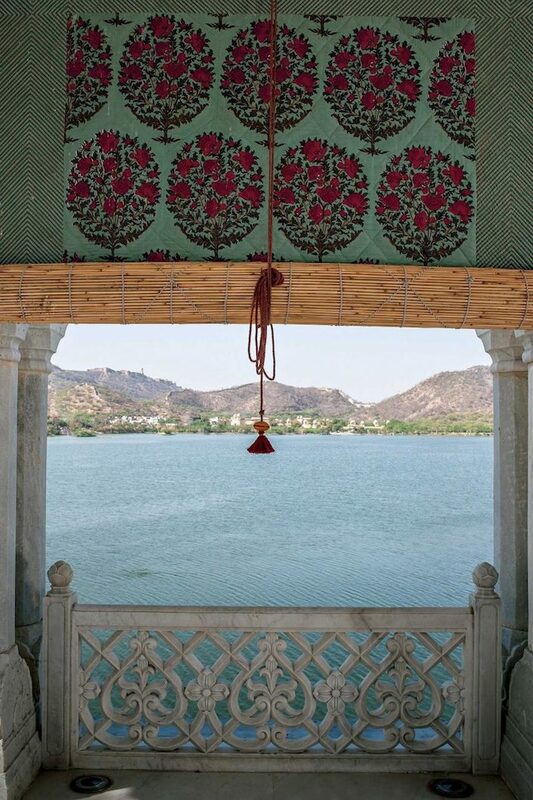 And throughout the book, he pays tribute to many of the Indian artisans, old and new, and their extraordinary craftsmanship, such as designer Brigitte Singh, below, her block printed fabric in one of the pavilions at Jal Mahal. 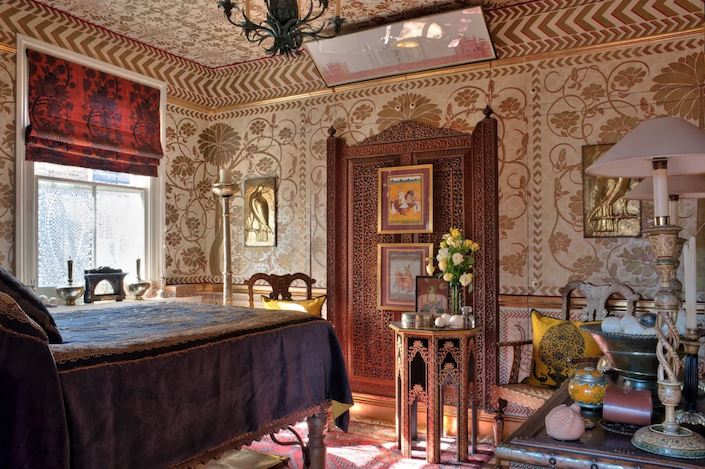 Wilson was not merely an aficionado of all things India but walked the walk at home in London. 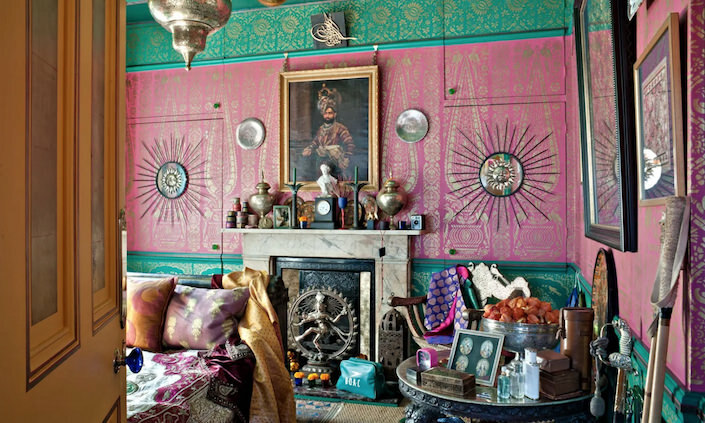 For over 27 years, he meticulously decorated each room in his Chelsea townhouse, celebrating the colorful world of Indian pattern and craftsmanship. Sadly, Wilson died prematurely in a motorcycle accident in 2017 and his home went on the block last fall. 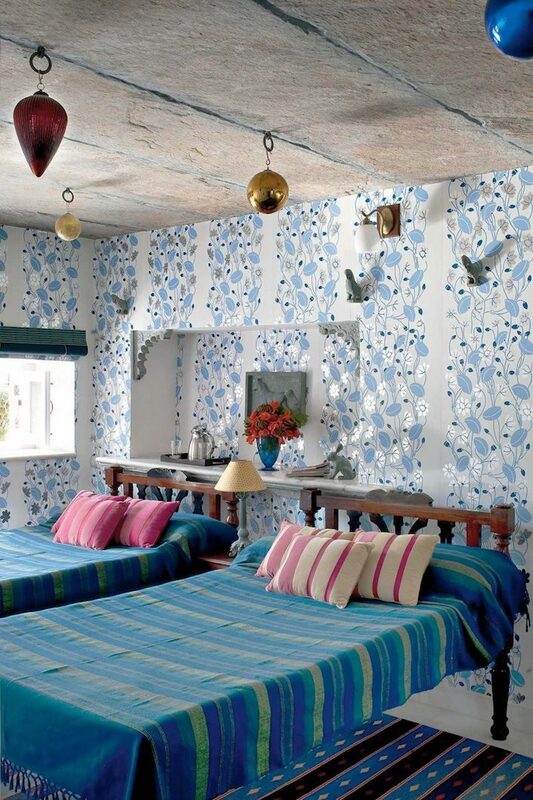 that may be because he was also recruited to design a wallpaper collection, SARISKAR for Osborne & Little, which he installed above, was used in several bedrooms at Udai Bilas like the ones featured above, and employed so effectively by designer Ashley Whittaker in a project below. 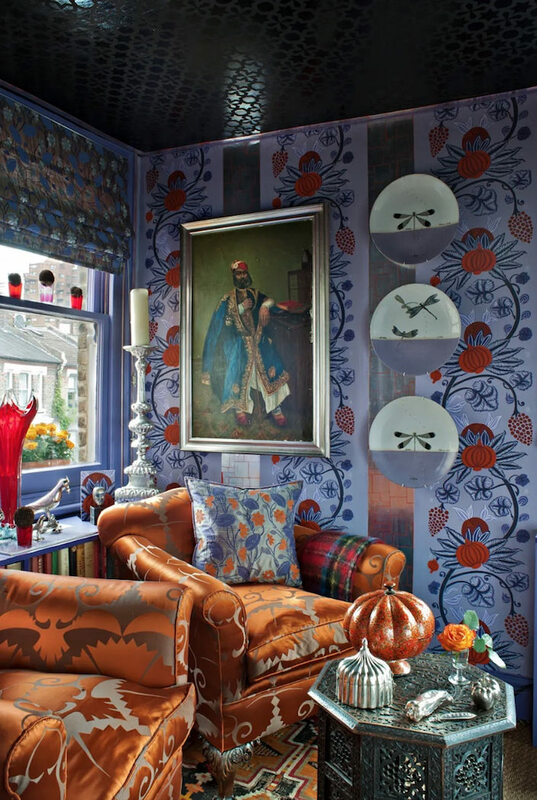 So as we in the northeast are facing arctic temps for a bit longer, just remember you can always imbue your interiors with color and pattern to offer a little amuse bouche for the spring that inevitably will come! This entry posted in architecture, art, books, interior design, photography, travel. 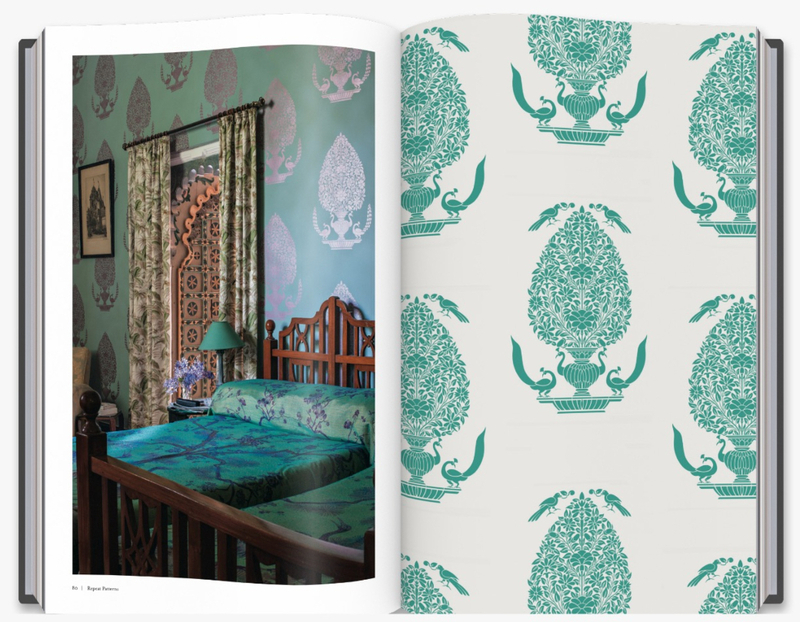 Entry Tags: Design Books, Henry Wilson, India, interior design, London, Osborne & Little, Photography, Wallpaper Bookmark the permalink. Thank you! Exactly what I needed to see on this cold, dark winters morning. 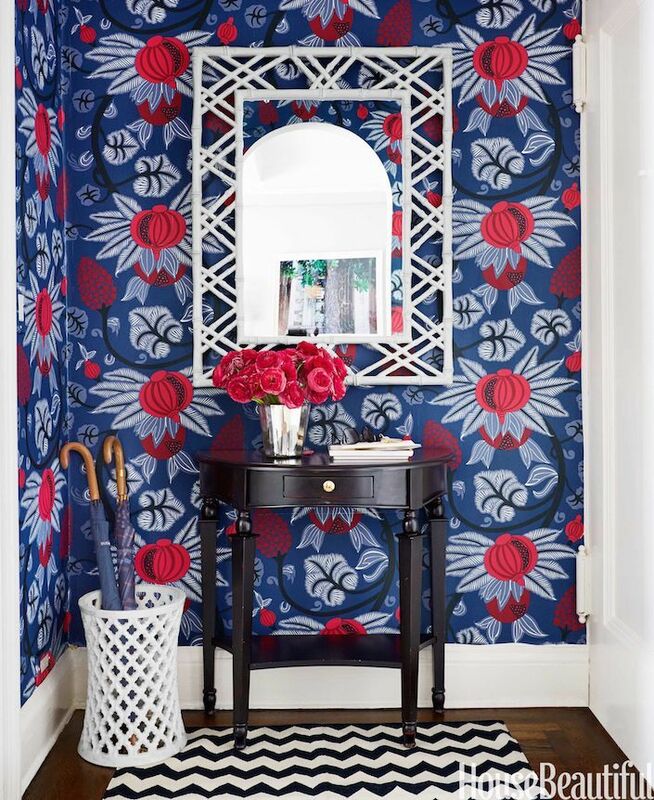 Its inspiring to see how Wilson celebrates and uses these gorgeous patterns & colors. Daring & beautiful! 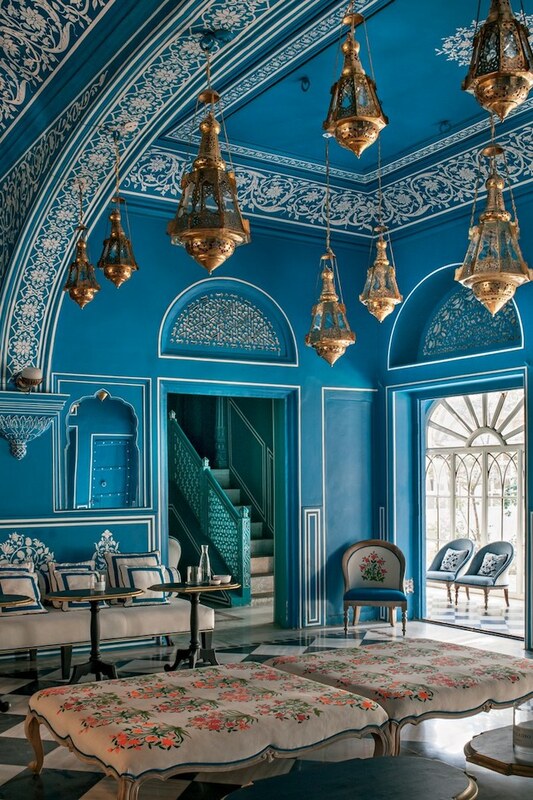 The Colors of India are Beautiful !! Wilson’s Home is Winter Warm ! Thank you Quintessence for giving me a lot the read today ! Quintessence is always First !! Thanks for introducing me to a wonderfully creative man, so sad he is no longer with us but I will devour his books! Your post are always interesting but this is increbible. Amazing research and beautiful patterns. Love 💗 it! Those colors are just stunning. Thank you for sharing such a wonderful post! 82 queries in 0.549 seconds.